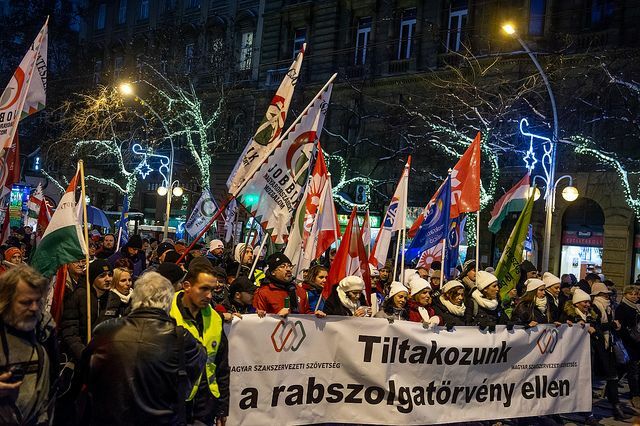 During the winter of 2018-19, a demonstration wave spread across Hungary in response to a labour law amendment. Opposition parties, grassroots movements and trade unions began to cooperate with each other, and tens of thousands of people protested against the so-called slave law. These events turned around many trends in Hungarian politics. In April of 2018 the Fidesz party, led by Viktor Orbán, gained a two-third majority in the parliamentary elections for the third time in a row. He used this uncontrolled power to decrease the autonomy of still-independent institutions. The operations of NGOs were made more difficult by a new law and new administrative courts were set up that will be responsible for adjudicating politically important cases. Their judges will be appointed by the Justice Minister, so the independence of this new institution is questionable. The academic sphere has also been weakened because of attacks by the Government on the Academy of Sciences in Hungary. Along with right-wing publicists, the Government has tried to undermine the credibility of the Academy and has drastically cut its budget. The persecution of the Central European University, established by “public enemy” George Soros, has also reached its final stage. During the spring of 2016 more than 70 000 people demonstrated to protect the CEU, but at the end of 2018 only 1 000 protesters were in the streets to support the university, which is the best in Hungary. Corruption scandals related to people who are close to the prime minister have increased without any indictments by the prosecutor, who is a former Fidesz party member. International scandals involving Hungary have made headlines as well. One was related to a former Prime Minister of Macedonia, an ally and friend of Orbán, who was indicted on corruption charges and got refugee status from the Hungarian authorities within a week - while asylum-seekers who have been kept in detention along the Hungarian border have not received any status since last summer. These events have all caused frustration on the anti-Government side. The amendment to the labour law then triggered that repressed anger. The Fidesz Government’s economic strategy is based on encouraging investment and attracting capital (through cheap labour, Government funding and tax breaks). Because of the shortage of workers, this strategy faces great challenges. According to a Policy Agenda survey, 66% of small and medium-sized enterprises’ leaders said the shortage of labour is their company’s main problem. The Hungarian unemployment rate has reached an historic low of 3.6%. Emigration to western countries (approximately half a million people have left Hungary in the last 10 years) and EU funds supporting the growth of the industrial labour force needs are the two main factors behind the record low unemployment rate. This was the point when the Government (based on the multinational companies’ idea) modified the labour law and increased the lawful number of working hours by increasing lawful overtime 250 to 400 hours per year. 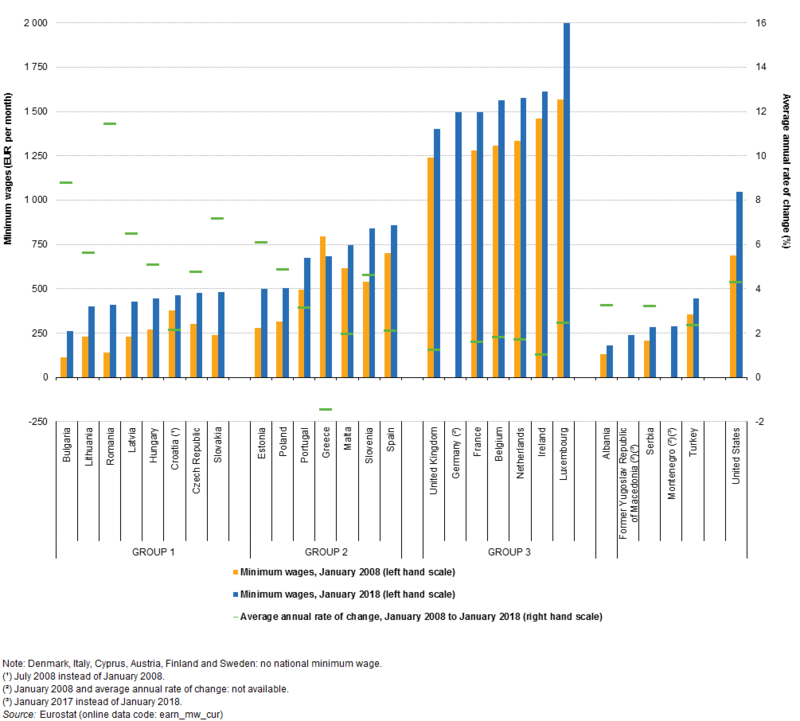 Currently the average annual hours worked in Hungary are 1740, similar to the OECD average. Despite the needs of workers, an increase in wages has not followed the rate of economic growth. The gap between the average salary and median salary shows that only the most well-paid members of the workforce have profited from economic growth in recent years. When Lajos Kósa, a veteran Fidesz MP, initiated the amendment to the labour law, nobody expected it would trigger big demonstrations like a snowball starting an avalanche. The opposition in Parliament reacted with physical obstruction, actually occupying the chair of the speaker, and thus Fidesz could only pass the law in an unusual way. After that people went to the streets to protest all over the country. Several trends turned around because of these demonstrations. The opposition parties began coordinating with each other and using unusual tools, and through this new form of resistance they have begun to gain back the trust of their voters. The opposition also created a new political product by using the “slave law” term in its rhetoric. Moreover, every opposition party attended the demonstrations in Budapest and in smaller towns as well. Every opposition party sent speakers (female politicians played the main role), and every party’s activists were at the demonstrations with their own flags. This cooperation during the protests contributed to further joint actions, especially concerning alliances for municipal elections in the autumn of 2019. This cooperation, from the far-right to the left, is a great threat to Fidesz’s strategy, which is based on the illusion that they are in the “central field” and have divided the opposition. As a reaction, Fidesz has now strengthened its “black” propaganda against the strongest opposition party, Jobbik, in order to destroy these possible alliances. A new trend also came up with these demonstrations: profanity in public speeches. Some Fidesz-related publicists like Zsolt Bayer used to swear and use hateful communications, but in the leftist sphere profanity was not usual - until this winter. For instance, the term “O1G” became the main buzzword at the demonstrations, which means “Orbán is a dickwad”. This phrase was first used by Lajos Simcska, an ex-Fidesz oligarch and Orban’s childhood friend, who said it when breaking his strong alliance with Orban. Other speakers used rougher words, like 18-year-old Blanka Nagy, who turned out to be the rising star of the demonstrations. Official opposition politicians like Ákos Hadházy, an independent MP, also used nasty words from the podium. There was a turnover in the role of the trade unions as well, since traditionally weak advocacy institutions have now gained back some power. By organizing the demonstrations, unions have played the main role, especially the industrial workers’ union called Vasas, which has a strong partnership with the German IG Metall union. Because of the union’s leading position, the main demonstration tool was to call for a general strike. While a general strike did not actually happen, there have been successful smaller strikes during which the union has won significantly higher wages. The main effect of the demonstrations is that Fidesz lost its advantage in the political communication field for three months and opposition parties have been formulating the public discussion. Fidesz has lost half a million supporters, mainly educated voters who rejected the destruction that has happened in the academic sphere or in the field of labour. Meanwhile, joint actions by opposition parties have not just increased their popularity, but could have a further, long-term effect, triggering cooperation during the municipal elections in September. This could pose a real threat to Fidesz’s power.